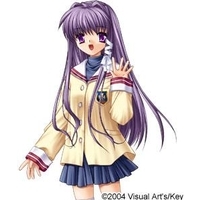 Kyou Fujibayashi is a character from the visual novel Clannad. 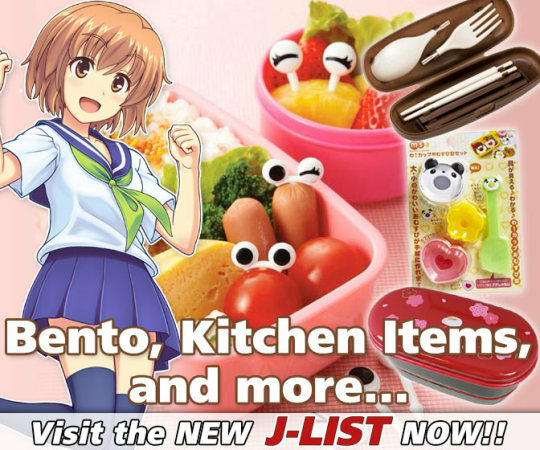 Kyou is a bad-mouthed and aggressive girl well known as a good cook. She was in Tomoya's class in their second year, and has maintained a steady friendship with Tomoya even though they are put in different classes on their third year. She is currently the class representative of her class. She has a pet baby boar named Botan. She owns a scooter and she throws various types of dictionaries towards anyone she gets furious with, especially Youhei. Kyou's story starts when she tries to make Tomoya get intimately close with Ryou. However, when a rumor about Tomoya being two timer with Ryou and Kyou spread around the school, Kyou starts avoiding Tomoya, Ryou becomes more bold. Youhei finds out that Kyou has a crush on Tomoya too, and advises Tomoya to settle things out before more misunderstanding happens. After much conflict of playing boyfriend and girlfriend with Ryou, Tomoya breaks up with Ryou and confesses his love to Kyou. Kyou in return confesses her love to him and they become a couple. Kyou works as a kindergarten teacher in the After Story portion, and coincidentally is also Ushio's teacher. 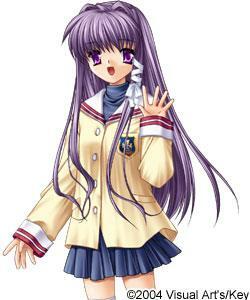 According to Tomoya, her personality is still the same even after reunion, but Ushio says that Kyou is a good teacher.